Cryptocurrencies - tulips of the 21st century? Not this time! When the market capitalization of all cryptocurrencies this year has fallen to a low of 173 billion dollars, according to coinmarketcap.com* it seems that there’s a new bubble, new tulips, a new pyramid! But basically, it is said by those unlucky people, who invested in cryptocurrencies at the end of 2017 and are now experiencing huge losses, as severe as 80-90%. However, if we take a look at the statistics on the price of Bitcoin from 2009, we will see a lot of such “bubbles”. For example, in the period from the end of 2013 to the beginning of 2015, the price of Bitcoin dropped from $1,166 to a fantastic $170 dollars! Wow, that bubble was bigger than today's! So why shouldn’t you treat cryptocurrencies as new types of tulips? thanks to the blockchain technology, it is possible to carry out deals, transactions without using third-party services, banks or government organizations. That person, who invented the Blockchain technology and created Bitcoin on its basis, hardly intended to “grow a tulip”, since the creation of the blockchain required not only ingenious thinking but also thinking through all the possible weaknesses following the creation of the blockchain. For making transactions using cryptocurrencies, there is no need to use third-party services (in this case, banks, payment systems). Transactions of some cryptocurrencies (for example, Cloak) occur instantly. You send your cryptocurrency to a friend, and in less than a minute he receives it. You can send cryptocurrencies anywhere on the planet, without restrictions. Transactions may be anonymous. 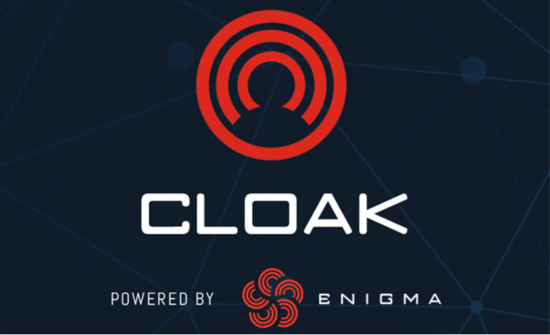 For example, using the anonymous ENIGMA transaction (developed by CloakCoin project), the whole process and transaction history is hidden from other eyes. Secure storage. Considering such fact, that when your money is located in centralized banks, there is a risk of theft or bankruptcy, which doesn’t guarantee that your money will be returned to you. In the case of cryptocurrencies, you can store those on your own wallet on your computer, on your phone or even on a USB flash drive. At the same time, all tools are locked with a unique password and only you have access to them. Financial management. Due to the centralization of countries, there are a number of laws under which citizens of that country are forbidden to spend their own money! Whether it is gambling, alcohol, or even just a money transfer to a country with which there are bad political relationships. However, using cryptocurrencies, you are becoming your personal bank (“Be Your Own Bank”) and you can send cryptocurrencies anywhere, to anyone, and as many as you want. Thirdly, a lot of cryptocurrency projects have already been created on the blockchain, which develops and works on unique ideas in the field of high technologies, applications, smart contracts, transactions, decentralized systems and applications, and so on. People in the field of cryptocurrencies and blockchain are already so motivated to develop this area, that even a crypto capitalization recession of any magnitude will not affect the development of high-quality and active cryptocurrency projects. Cryptocurrency and blockchain are slowly entering our lives, through the ease of doing business and ease of making payments. The time will come when the adoption of cryptocurrencies will be much higher than now, and, accordingly, the total market capitalization will increase significantly. Tulips are good, but not this time! *in fact, there is no correct calculation of cryptocurrency capitalization yet, therefore there is a significant margin of error towards increasing capitalization; crypto capitalization is much smaller.